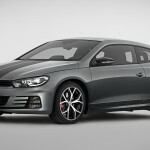 Volkswagen presents Scirocco GTS at Auto Shanghai. 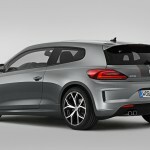 The sports car uses direct-injection turbocharged petrol engine which is rated 220 PS. 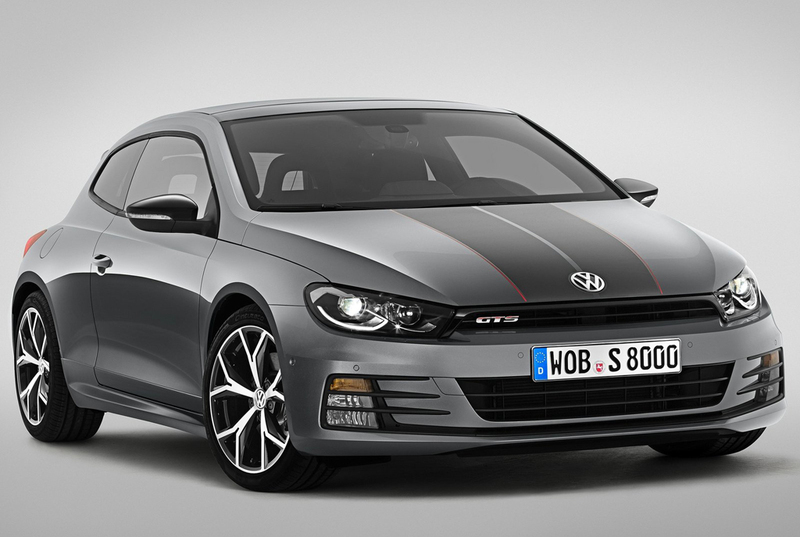 It is accompanied by 6-speed DSG or manual gearbox. The car can accelerate form a standstill to 100 km/hr in a matter of 6.5 seconds. 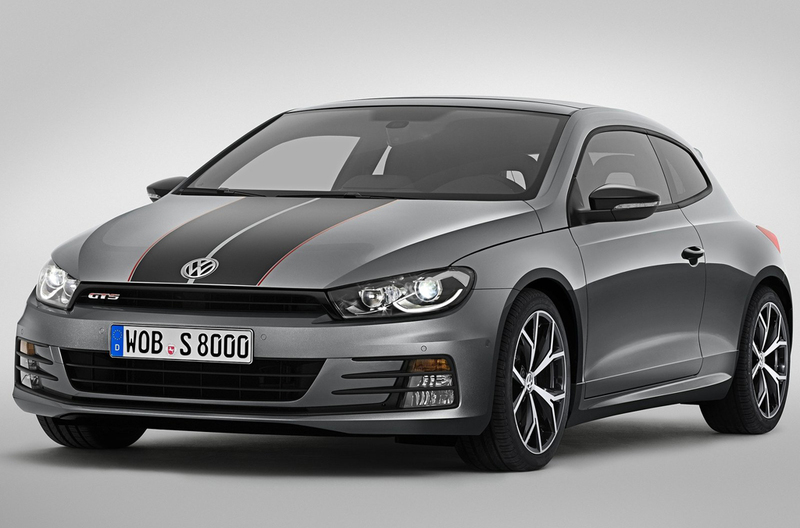 It can attain a top speed as much as 246 km/hr and with DSG it is 244 km/hr. 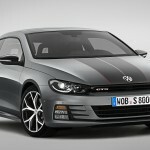 It consumes 6.1 liter per 100 km in case of manual gearbox. 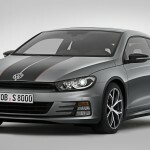 For DSG gearbox, it is 6.4 liter per 100 km. 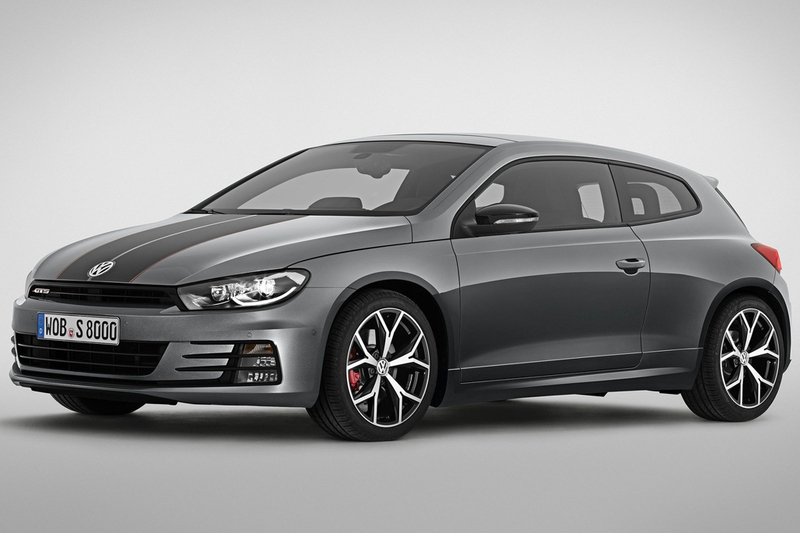 Scirocco GTS has red and black for the interior. Piano Black Lacquer has been used for decorative inlays in dashboard and for centre console. The sill panel mouldings are adorned in GTS badges. The steering wheel has red seams. The lower spoke has Black Piano Lacquer finishing. 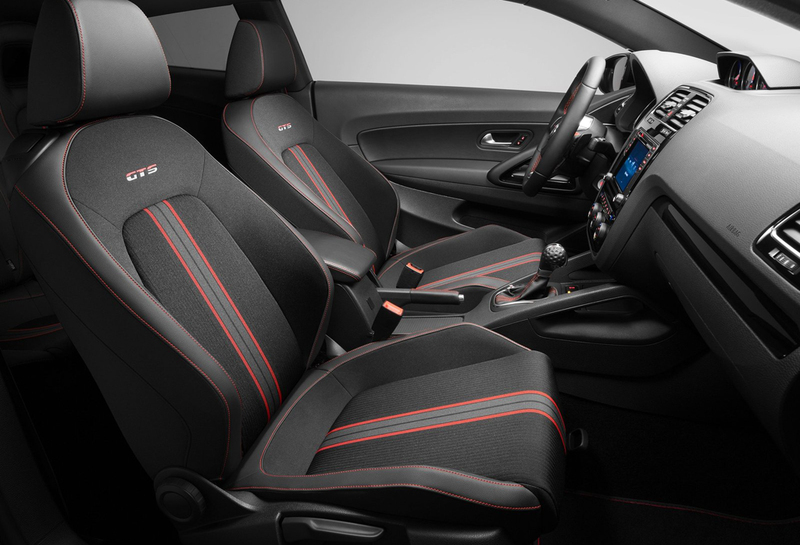 The seat covers have centre panels that feature new material and also have red stitching. The wing mirror and switches for electric window can be had in chrome with the chrome trim package. More of Black Piano Lacquer can be seen on the door handles in the cabin and on the air vents. Safety belts, gear lever gaiter, handbrake lever, floor mats and central armrest – all use contrast red seams. Norwich 18-inch alloy wheels comes as standard on the car. 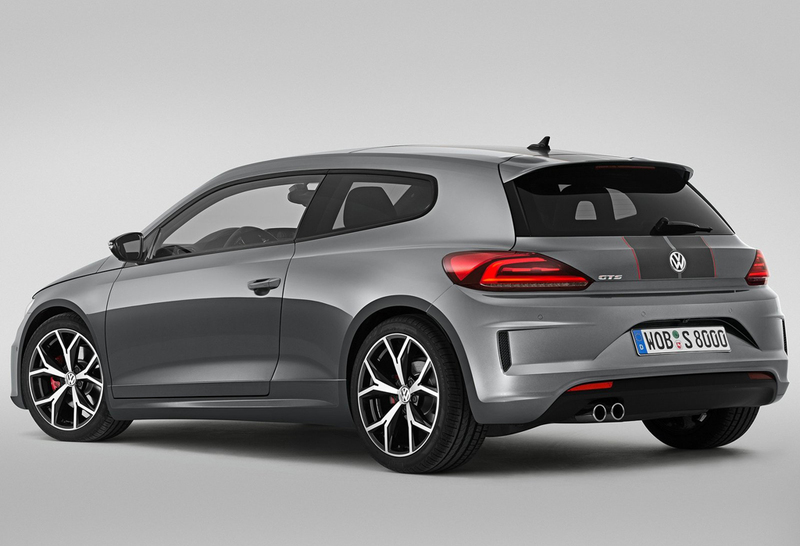 Customers are offered Lugano 19-inch alloy wheels as an option. Exterieur, that is R-Line package, comes as standard. This package includes unique R-style bumper. The fog lamps have been integrated into the bumper and the radiator features glossy black. Wing mirror caps look smart in black. GTS decal is available as standard for the Chinese market and available as option elsewhere. It comes with two decorative stripes in red. They run right from the bonnet to over the car’s roof as well as the boot. If the body paint is Flash Red, then these stripes are in black.